Friday Fodder. . . Something To Think About. . .
My head tends to be a jumble of stuff. It’s a changing mixture that combines things I’ve read, seen, and heard in a mix that I continually pray prompts thinking, being, and ministering in ways that bring glory to God and result in Kingdom advancement. In an effort to not only sort out what’s in my own head, but to share some of it in the hope that it might prompt the aforementioned in others along with some healthy discussion, I’m launching this weekly (every Friday) short post with a thought (my own or one I’ve read) or quote for you to consider. And so. 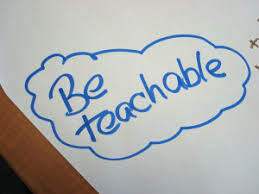 . .
“Be teachable. . . we should habitually seek out others who know more than we do about a subject and learn from them. We should have an entire life marked by being teachable rather than opinionated.” – Tim Keller, in God’s Wisdom for Navigating Life (July 17, p. 198). ← Mike Trout, Youth Ministry, And The Marketing Of Self. . . .